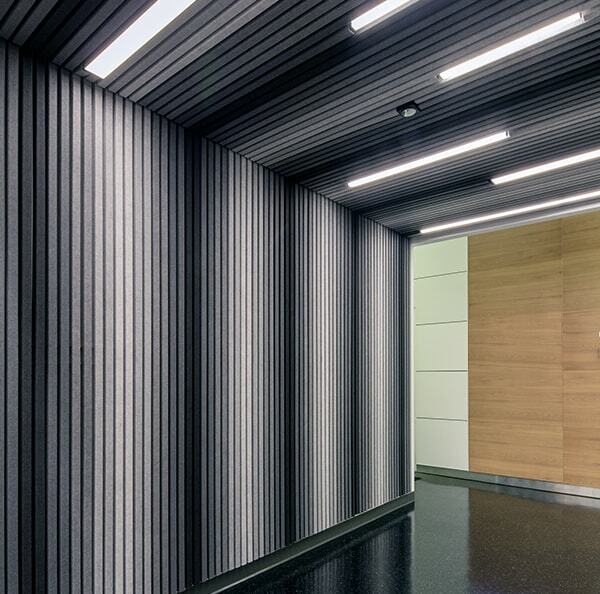 Our HeartFelt linear wall system is the perfect product to cover walls in a warm acoustical material. Panels sizes of 40x55 mm can be combined in 5 shades of grey or 5 earth tones. Mix and match for attractive patterns, or use the same colour to create a calm uniform wall. 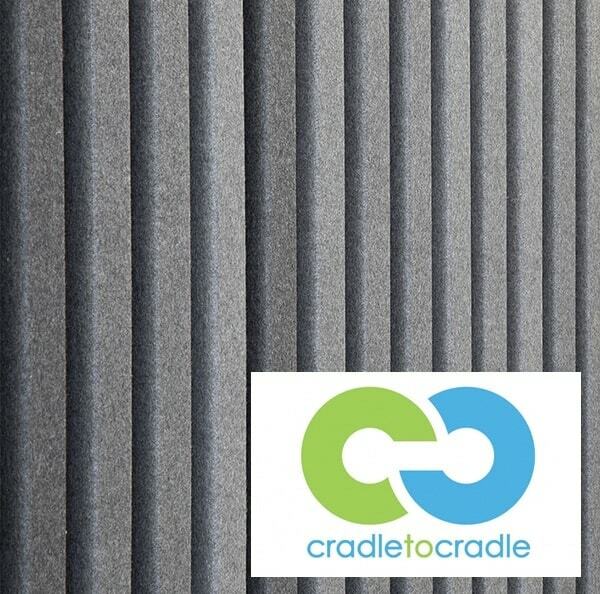 The total system is certified Cradle - 2 - Cradle. Felt is a warm acoustical absorber, meaning that the experienced sound is soft and not high pitched, compared to some other acoustical absorbers. Modern interiors in offices are more and more conceived in a very homely design. This new trend requires warm materials and individual design. HeartFelt walls perfectly fit these requirements. Is is a very soft acoustical absorber with great flexibility in design. Acoustical performance can be influenced by modulation of the panels and the installation of acoustical mats behind the panels. 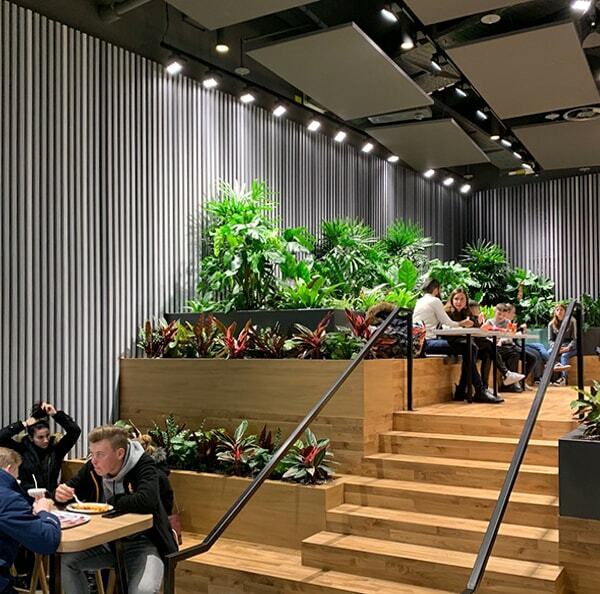 Hunter Douglas architectural always develop products with the end result in mind; Great aesthetics, perfect performance, sustainability and easy to install. In each of these fields we are looking for unique properties to please our customers and the end users of the building. We love to work with designers and architects to create the best solutions. Challenge us! We test our products for best performance. 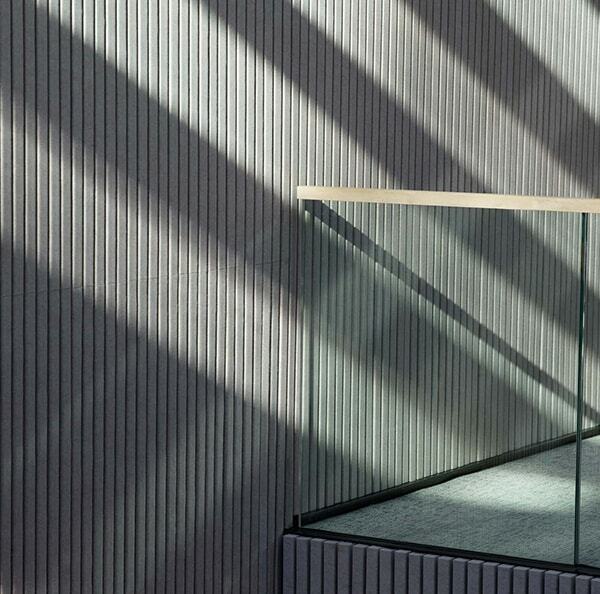 Durability, sustainability, maintenance, fire, acoustics, installation ease, accessibility and integration are all documented to ensure the best performance solution on paper, is the same performance in real life. For our wall program we have 2 series of modern shades available: 5 shades of grey and 5 earth tones. Mix and match for creativity or go for a uniform design by selecting just 1 colour. When designing our Heartfelt systems we had sustainability in our minds. We have put the design criteria where it needs to be: at Cradle to Cradle level. We do not mix materials so they are easy to separate at the end of their life. For best recycling, without further treatment. We managed this process in detail and were awarded with the C2C certificate. Many of Hunter Douglas Architectural ceiling and wall systems are C2C certified. We are constantly working on improvements within the five Cradle to Cradle defined quality categories. In 3 materials we have obtained C2C certification: Try our metal, HeartFelt or wood systems; for ceilings or walls. Use the filters below to browse our full selection of HeartFelt® Walls Products.